We’ve recently launched an enhanced alumni program, which will be driven by frequent publication of the View newsletter and our new online community, www.miamidelts.com. We are counting on you to make our program a continued success. There are plenty of reasons to maintain your connections with the Gamma Upsilon Chapter after graduation, and we thank the brothers who have remained active in their alumni years. For those of you who may have fallen away from the fraternity, we’ve compiled 6 great reasons to make this the year you renew your commitment to Delt. 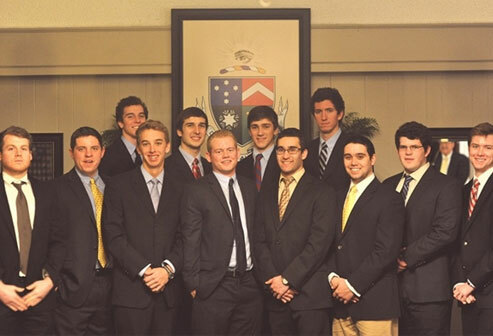 We are the backbone for our future active chapter. It is critical that our alumni bond together to form a unified, solid base for Gamma Upsilon in 2018. The newest members of our fraternity will look to us to set an example of what it means to be a True Gentleman. The Delt experience doesn't end with graduation. Membership in Gamma Upsilon is for life, and there are plenty of ways to stay involved: through alumni events, by serving as a volunteer, by actively participating in our alumni program, and, most importantly, by providing financial support to the annual fund. We have a unique legacy to maintain. We are fortunate to have a rich history and special traditions that span across two organizations. If you were a member of Gamma Upsilon during your college years you are part of a single brotherhood that is bonded together by a core set of values and principles. We developed a new way for you to connect throughout the year. Check out our new alumni web site, www.miamidelts.com, where you can read the latest chapter news, find event details, and reconnect with old friends. Be sure to sign up for our monthly eLetter! You have a lifelong network of brothers 1,404 strong. Find contact information for your fellow Gamma Upsilon brothers at www.miamidelts.com, and connect with them for job networking opportunities, to renew old friendships, to find brothers in your area, and more. You’re the key to our past and the link to our future. As a thriving alumni association more than 1,404 strong, we boast generations of brothers that have contributed to our rich history. We have collectively preserved traditions, enriched lives of young men, and kept a thriving organization going strong at Miami University for years. You have a unique place in that history, and are asked to maintain your connections to pay it forward for future generations. 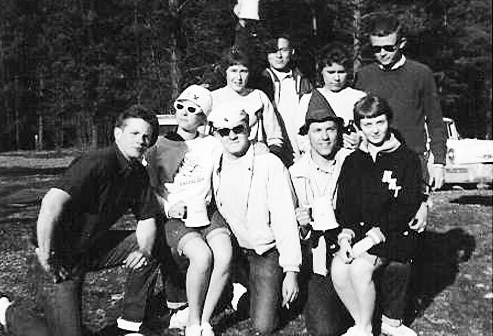 We have lots or reasons to maintain our connections to Gamma Upsilon in our alumni years. If you haven’t been involved recently, we personally invite you to renew your participation this year. As you can see, there’s no reason not to.